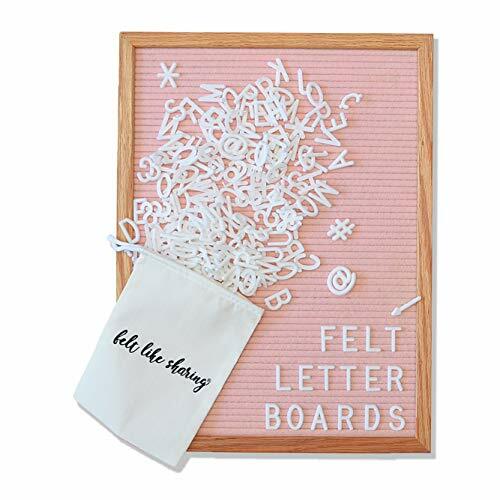 Light Pink Felt Letter Board 12x16 Inches. Changeable Letter Boards Include 348 1" White Plastic Letters & Oak Frame.    NEVER AT A LOSS... More Letters than ever! 348-piece Character Set (White) lets you speak at length! Be more bold, proud, clever, or more sappy than ever. When you're done, collect all those 1" white words-to-be in the handy drawstring pouch for safekeeping. Go Get Lettering Now!